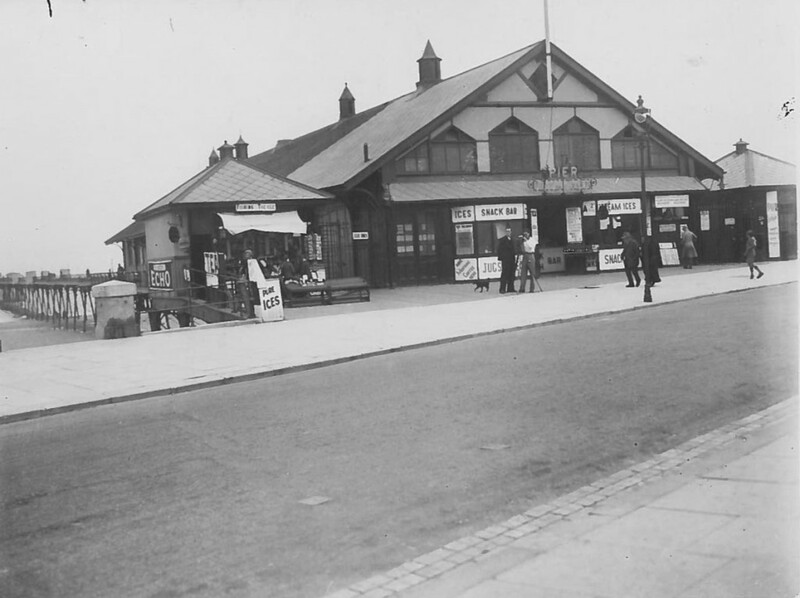 In 1907 a pavilion ballroom was built on the pier behind the entrance kiosks and in 1928 the pavilion was extended. The pavilion continued in use after the Second World War despite the deliberate breaching (sectioning) of the pier (to prevent it being used by enemy invasion forces) and structural weakening caused by a nearby mine explosion. Damage to the pier by subsequent storms finally led to its demolition in 1981. 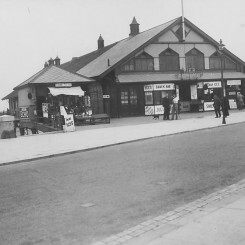 Pier Pavilion, Redcar – 1931. Photographer: A.E. Graham. Reproduced with kind permission of Redcar & Cleveland Borough Council.